Arbonne is all about being green – always has been and always will be. From botanically based ingredients to forward-looking green improvements. Arbonne is 100% vegan and cruelty free – not tested on animals. Arbonne combines superior, botanically based products with a generous compensation plan, exceptional support, training and committed leadership to create the perfect window of opportunity for you. With Arbonne, life is full of awesome opportunity — to earn a living, enjoy a flexible schedule, to transform your life and the lives of others. Imagine the possibilities! Discover how fulfilling life can be as an Arbonne Independent Consultant. 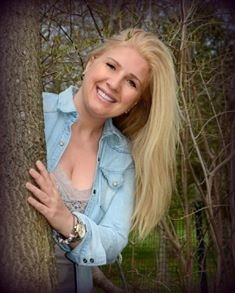 Contact Sylwia to learn more by clicking the website link below. Sylwia speaks Polish. Arbonne to najwyższej jakości naturalne kosmetyki na bazie produktów botanicznych, w 100% wegetariańskie i nie testowane na zwierzętach.Sylwia mówi po polsku i jako kosmetyczka może doradzić Ci w wyborze najlepszych produktów dla Twojej skóry. Arbonne oferuje również możliwość współpracy dla nowych konsultantek, doskonałe zarobki oraz elastyczne godziny pracy. W sprawie szczegółów jak zostać niezależną konsultantką Arbonne, skontaktuj się z Sylwią poprzez kliknięcie na link poniżej. Sylwia mówi po polsku. You can also visit our local Polish Florida business directories by flowing the links below. 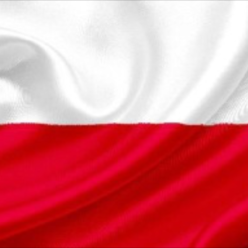 Free Polish Business Directory for all of Florida. 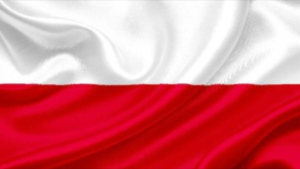 Follow the links below to find local Polish Businesses in your area. IMPORTANT: Please note that all third party advertisements and links to other sites, where goods or services are advertised are not endorsements or recommendations by Agnieszka Piasecka of the third party sites, goods or services. The webmaster and Agnieszka Piasecka take no responsibility for the content of the ads, promises made, or the quality/reliability of the products, services, or positions offered in all advertisements. The webmaster reserves the right to reject and edit certain ads. Please read Website Advertising Disclaimer & Policies at the bottom of this page. Polish Business Directory ma na celu zgromadzenie wszystkich polskich biznesow i kontaktow (duzych i malych) na jednej stronie aby pomoc Polonii w Tampa Bay odnalezc sie i wzajemnie wspierac. Polish Business Directory to strona nieprofitowa, ktora jest stale rozbudowywana i ulepszana. Jezeli chcialbys aby Twoj biznes lub kontakt pojawil sie bezplatnie na tej stronie, wysij email z krotkim opisem swojej dzialanosci oraz zdjecie na: freepolishdirectory@yahoo.com. It is each Advertiser’s own responsibility and liability to ensure that the content of their ads is true, accurate and not misleading. Advertising on the website is free and no fees or charges are collected from any advertisers. It is each advertiser’s sole responsibility to obtain and maintain any applicable and necessary licensure, certifications, insurance, bonding and fullfill any other requirments necessary to legally and lawfully sell their products, goods and services. Agnieszka Piasecka and the webmaster will not be held responsible for advertisers’ failure to comply with any legal requiremnents described above.